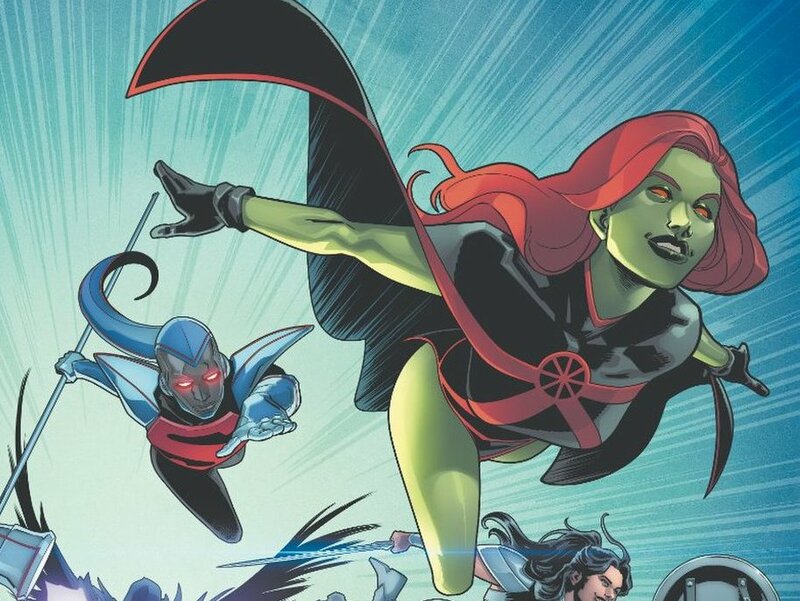 'Titans', 'Scooby Apocalypse', and 'Damage' will end in April – AiPT! The apocalypse comes to an end for the Scooby gang. According to the DC April solicitations, Titans, Scooby Apocalypse and Damage are all set to end that month. It’ll be the 36th issue of Titans and will be ending with the latest iteration of the team — Nightwing, Steel, Raven, Green Lantern Kyle Rayner, and a fair few more. I doubt the Titans will be done in the DCU, even if it’s not this particular lineup, especially with them and numerous other heroes being able to come and go to the Hall of Justice in Scott Snyder’s Justice League. Scooby Apocalypse is also ending at #36. The comic puts a post-apocalyptic twist on Scooby Doo, something refreshingly different for the venerable gang. Damage ends at #16 and as Newsarama notes, it leaves ex-assassin focused The Silencer and The Terrifics as the last two New Age of DC Heroes titles. Phantom Girl, Mr Terrific, Metamorpho and Plastic Man are the focus on The Terrifics. Don’t miss the series finale! It’s the end of the road for the Mystery Machine! With their mall headquarters destroyed, Daphne, Shaggy, Velma, Scooby-Doo and, yes, Scrappy-Doo prepare for their final battle with the Nanite King. Will the resurrected Fred Jones be the key to humanity’s redemption–or its annihilation? And in the final chapter of our Atom Ant epic, all of our guest stars vote on who gets to join the Justice League!